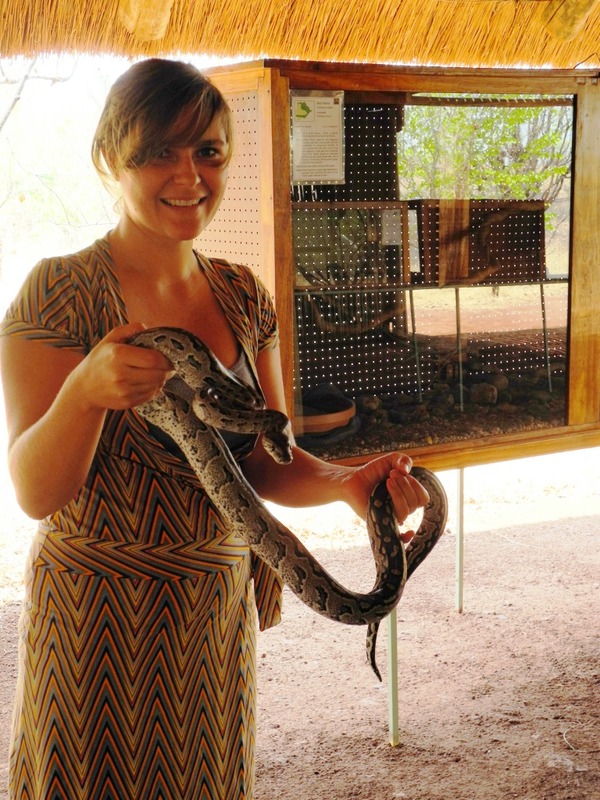 We visited the CARACAL Biodiversity Centre in Kasane, where they have a variety of snakes, birds and other animals. 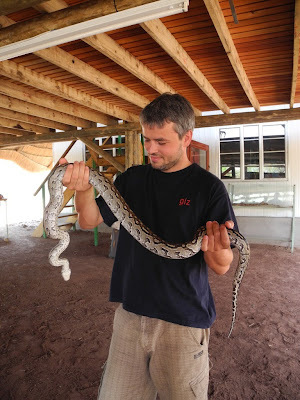 As the Chobe National Park is so close, many animals do venture outside the park, and snakes in particular like the food options available at the lodges. 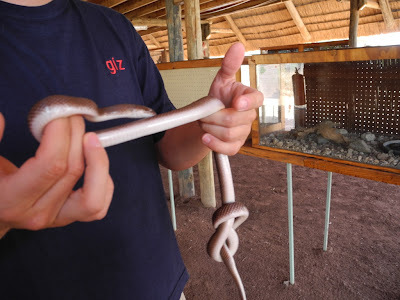 So whenever a lodge finds a snake on its premises, they bring them to the biodiversity centre. There, visitors and schoolclasses can learn about snakes – which ones are dangerous and which are not. We got to hold a young python, who is actually quite pretty and didn’t fell cold at all. However, you could already feel its strong muscles, which they use to kill their prey by constriction and clearly, I am not exactly comfortable holding it. The other one is a brown house snake, which apparently is the best remedy against rats and frogs around the house, and is completely harmless to humans. It showed us a little trick, making a knot into its body and releasing itself like a true escape artist. 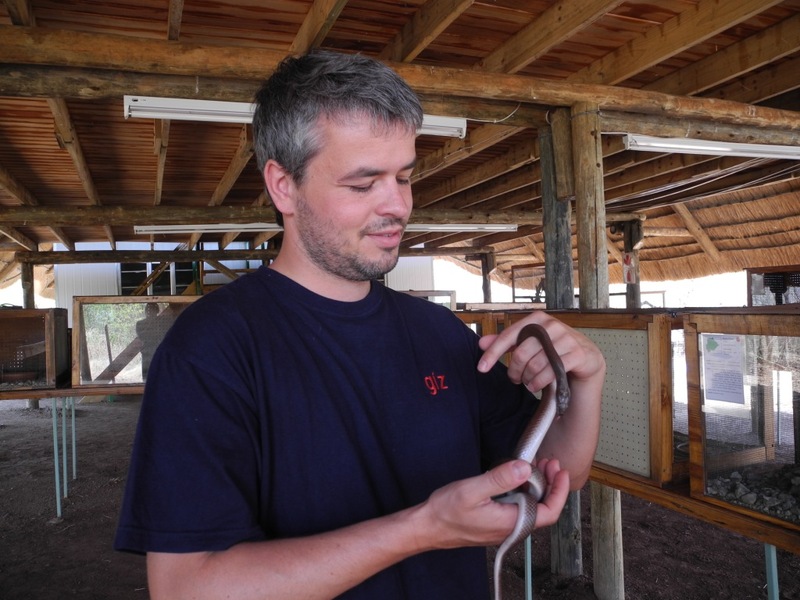 Despite this, I am not sure I’d like to have a snake in my house – but it definitely was a very interesting snake session! 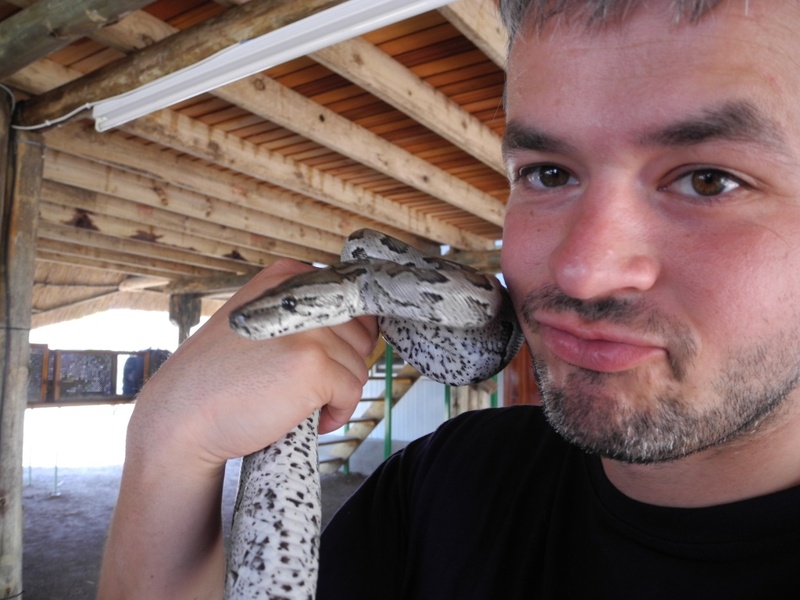 This may seem like a quite touristy place, but it is actually very informative and most snakes are released into the wild after a while.